Audi is making a habit of labelling its cars as GT cars. 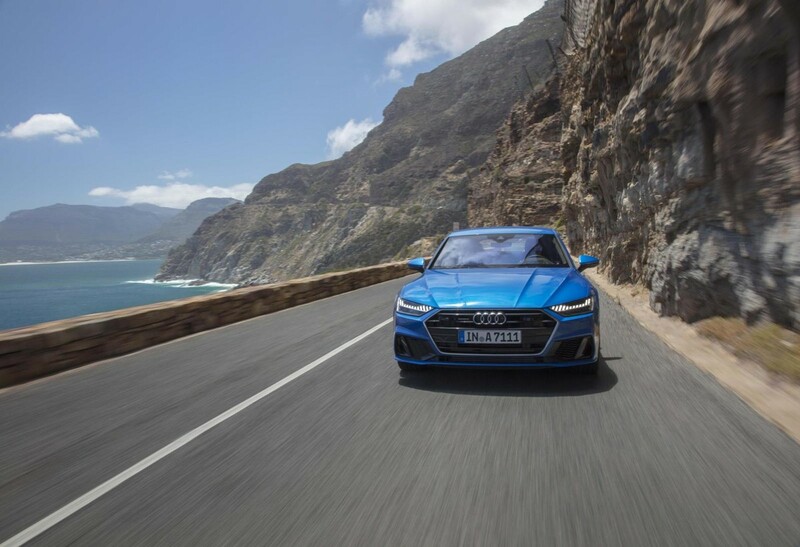 The A7 has always been a Grand Tourer, but the A5 is now also regarded as a GT mile muncher due to its slightly softer and comforting setup. 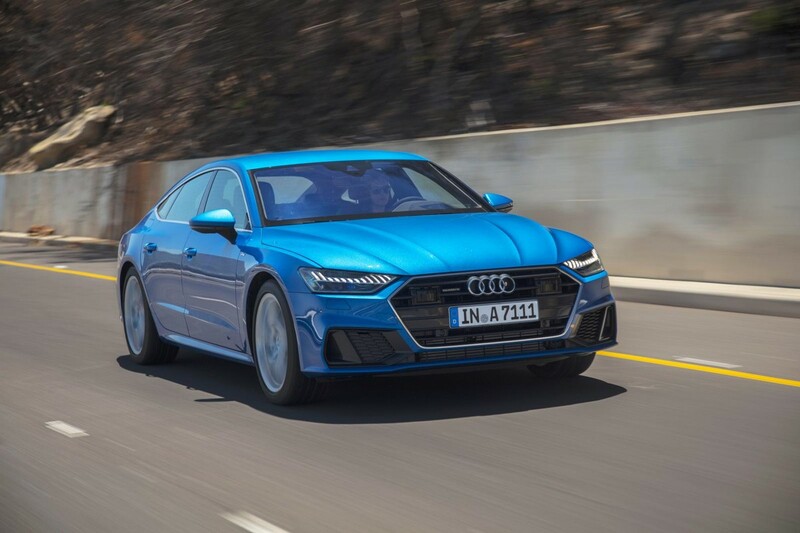 The A7 is bigger, more distinctive and features a bunch of new chassis and interior tech that makes it THE true GT car within the Ingolstadt stable. 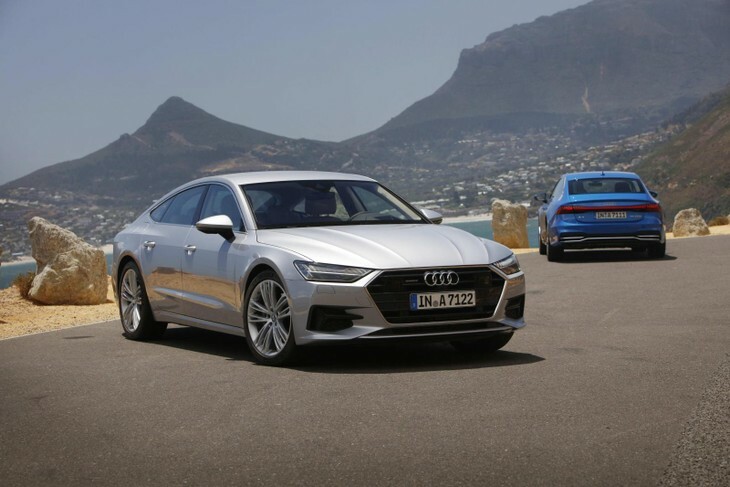 The good news is that the A7 Sportback is expected to arrive in South Africa in Q3 of 2018. The design has been refined with a more sloped roofline and a rear-end that doesn’t look as droopy and sad as it did before. Many loved the A7’s design and it was certainly the most recognisable model in the range, but I wasn’t a fan. 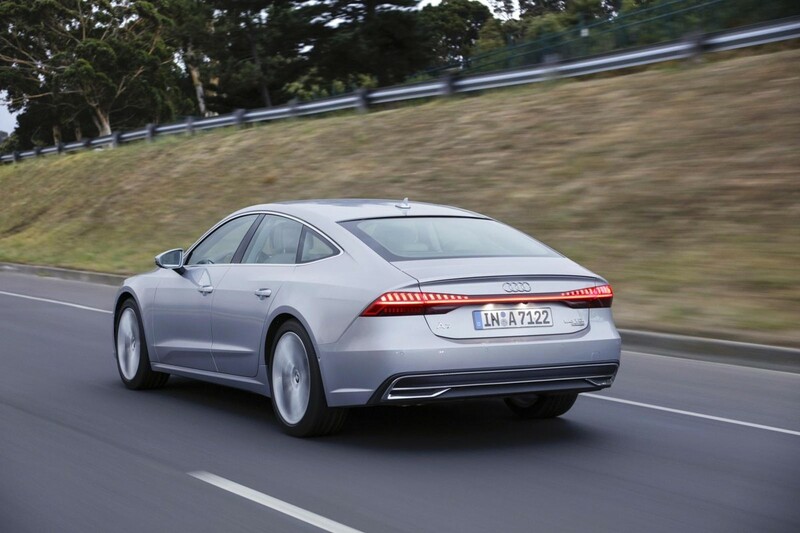 This new A7 looks more resolved and has a more natural 4-door coupe look to it. The lighting clusters are incredibly detailed now and the front lights feature 12 individual light strips that create a piercing visage. The rear lights have similar strips but it also features a blade that stretches the width of the rear. It’s very distinctive at night when the lights are activated. The new rear light blade extends the whole width of the rear end. Individual light strips are distinctive at the front and rear. The chassis has been stiffened to improve road holding ability and comfort while a new 4-wheel-steer system has been included as an option for this new model. 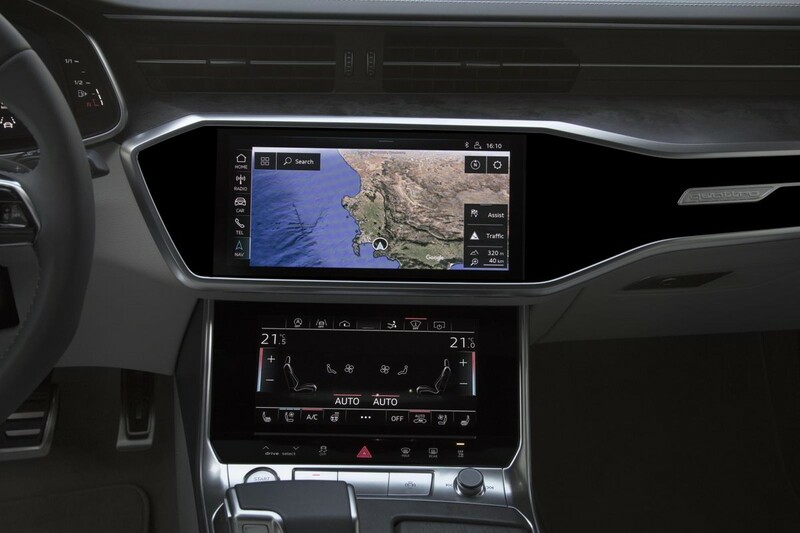 Finally, the interior features Audi’s new infotainment system that removes the rotary knob in the centre console and replaces all functions with 2 touchscreens. 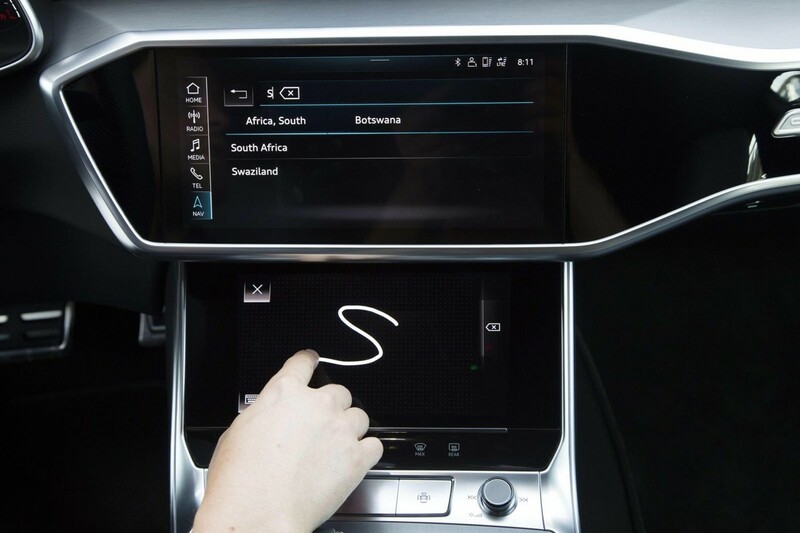 We first saw this on the A8 last year, but this is our first real test of the system, but more on that later. There are 2 of them, a petrol and a diesel. Both are 3-litre V6s and have been used elsewhere in the Audi stable. The 3.0-litre V6 TFSI turbopetrol is the same unit from the S4 and is tuned to develop 250 kW and 500 Nm of torque. It makes use of a 7-speed S-Tronic gearbox. This dual-clutch gearbox has been specially calibrated to deal with a high torque load and on our drive, it seemed particularly well-suited to the A7. It shifts quickly up the gears and kick down shifts take no more than a quick breath before it engages and thrusts forward. Engines are punchy but it's the diesel that shines. Pity we won't get the full power of the EU6 motor when it arrives in Q3. 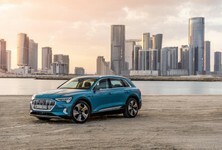 The turbodiesel is an updated and EU6 compliant version of the Q7's 3.0 TDI. 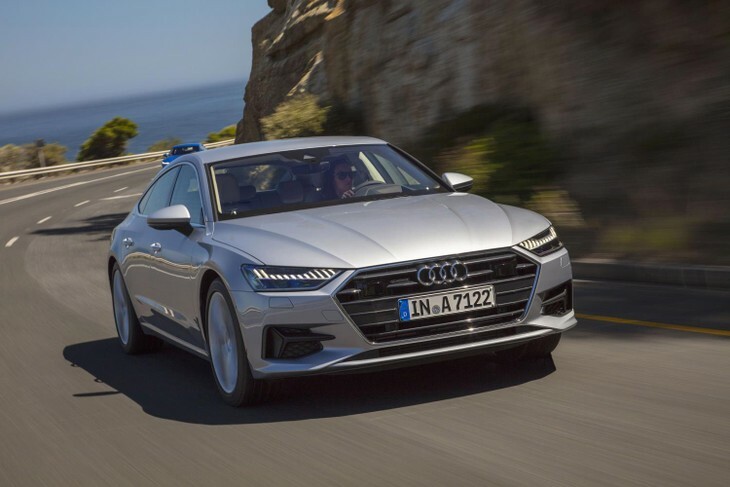 Audi had to ship in its own diesel to run this engine in South Africa and our local Audi importer will have to make a plan in order to tweak this engine for our low-quality diesel come local launch. It’s a pity, as with the 8-speed Tiptronic (normal automatic) gearbox paired with this engine suits the GT nature of the A7 perfectly. 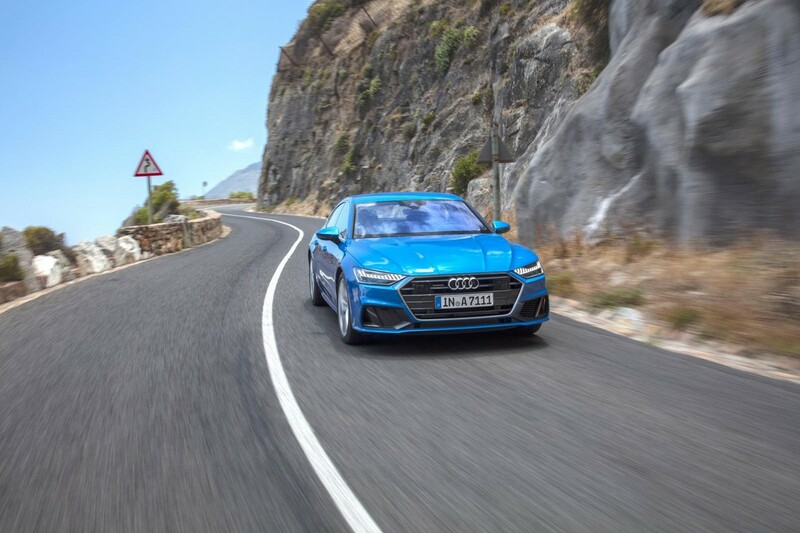 With a hypothetical range of over 1000 km and with 210 kW and 620 Nm of torque, it wafts the A7 along briskly enough with waves of torque to spare for overtakes and corner exit surges. 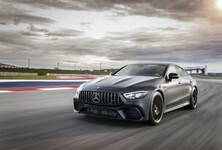 There is still room in the range for more engines, so you can expect S7 and RS7 models to follow shortly after its local launch. The new A7 has plenty of options to tailor the drive to exactly how you want it. The only thing you can’t do is turn it into a pointy sportscar. There is a sports suspension option and an air suspension option, which is the best combination of comfort and sportiness. Then there’s the new 4-wheel-steer system that steers the rear wheels in the opposite direction to the front wheels at speeds under 60 kph - this improves low-speed turn-in. 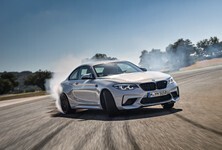 Above 60 kph the rear wheels then steer in the same direction as the front wheels, making it more stable at higher speeds. Despite being a large sedan, it’s nearly 5 metres long, the suspension does a phenomenal job of keeping the A7 flat and agile through corners. 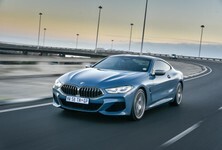 It doesn’t whip from side to side like a Porsche Cayman Or TT RS, but it does respond quickly to steering inputs, making for an engaging cruiser through sweeping bends. It's excellent, at say, a long sweeping pass more than a tight and twisty Chapman’s Peak or Franschhoek Pass. 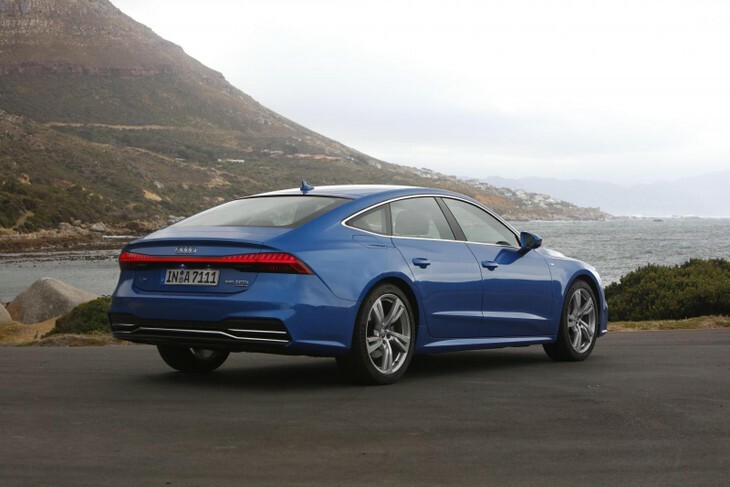 The cruiser nature of the A7 lends itself to long sweeping bends as opposed to tight and twisty passes. 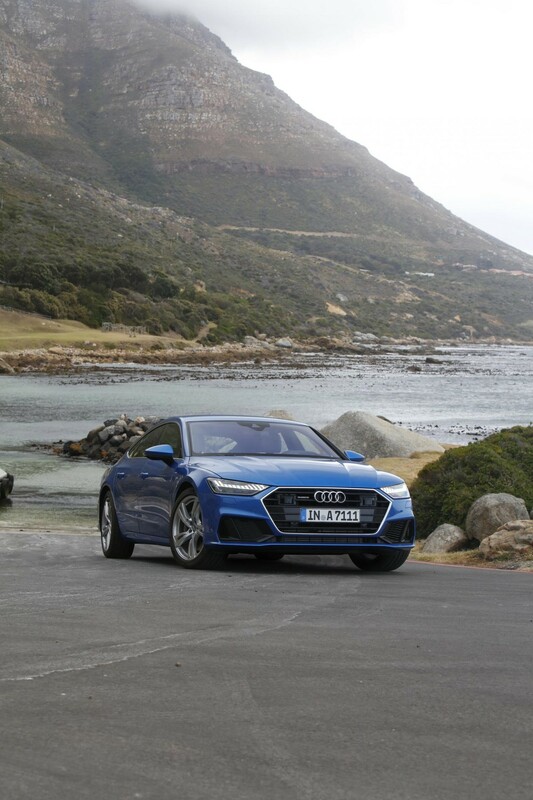 When driving the A7, you never get the feeling that you need to hustle it or grab it by the scruff of its neck. 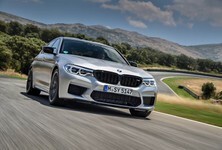 It’s been built to for more grown-up enjoyment, the type where you sit back in the leather seats, press a few buttons to engage an activating massage and then tuck into dispatching a few postcodes instead apexes and kerbs. The highlight of the A7 for me is the new interior, it really moves the game on and makes the other German interiors look like they’re made from wheelie-bins. It was a big decision to move away from the MMI rotary knob system but the 2 touchscreen system that replaces it, is excellent. Not only does the cabin look fresh and modern but its infotainment and basic functions are easier to access. Your seat and heat functions are on the lower screen while the rest of the functions take place on the top screen. The touch system requires a good prod but there’s haptic feedback and a polite acoustic click to let you know you’ve selected something. The top quality interior with the new dual touchscreen system is impressive. 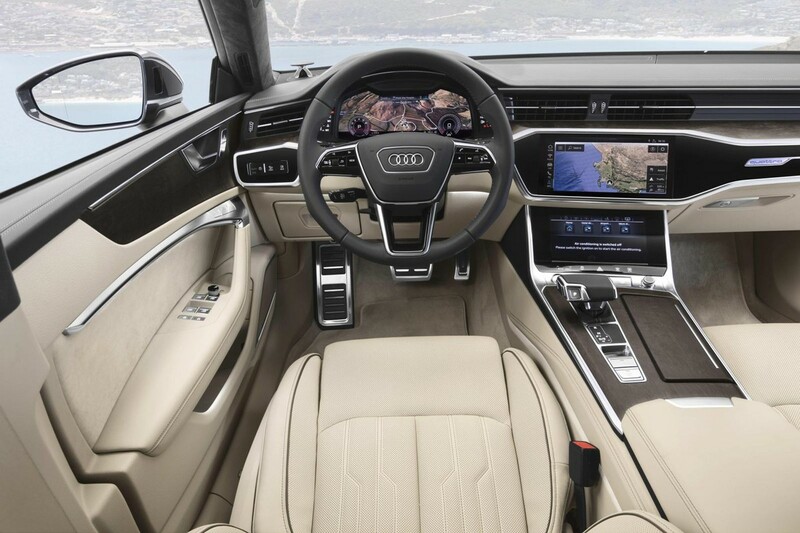 The cabin is the highlight of the new A7. Selecting a destination requires you to spell out the address or place on the lower screen with your finger, drawing the letters. You can also do this with voice command if you have the patience and succinct speech that voice recognition requires. The rear legroom appears to be more than adequate and even though the roofline is more sloped for this A7, head and shoulder room has not been reduced. 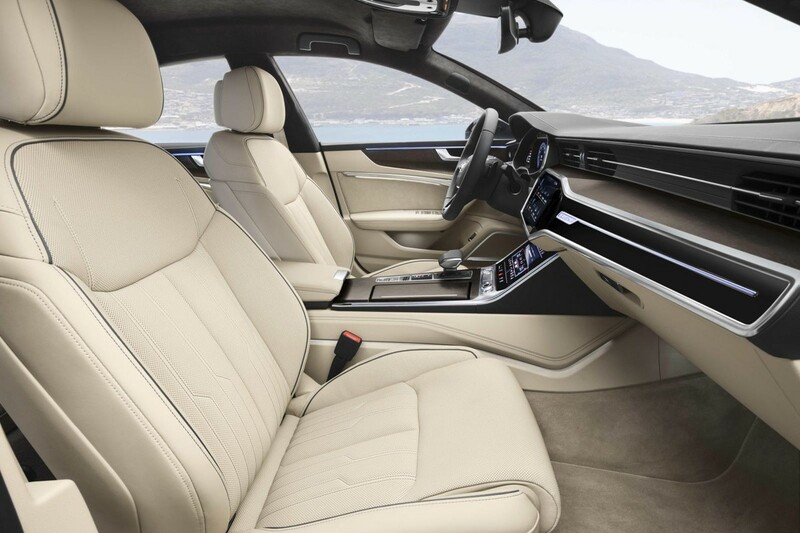 Overall the sense of occasion when you slip into the seats of the new A7 is unrivalled. The surfaces are all smooth and soft to the touch, the shut lines are perfect and the design is upmarket and modern. It certainly adds to the appeal of a premium product like the A7. Another well-executed GT car by Audi, improving upon the design spectacle of the previous generation. 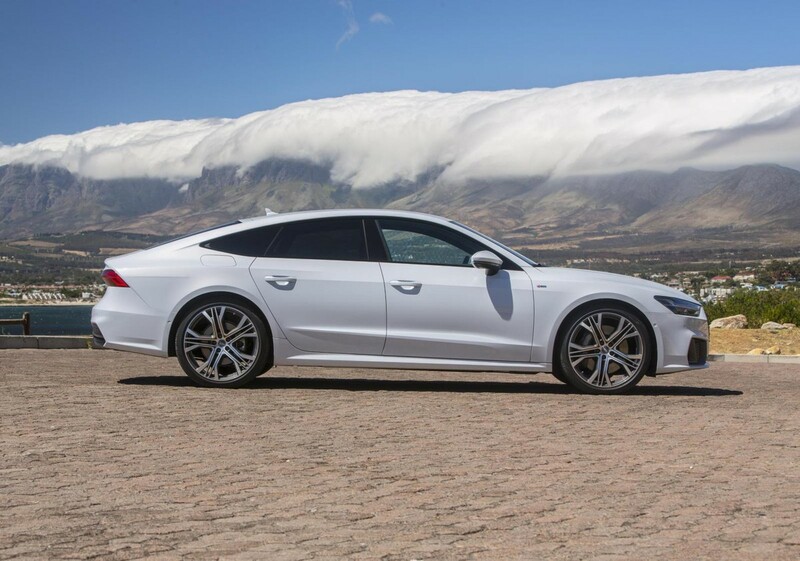 The A7 is billed as a stylish GT car and it does exactly what it says on the tin. It’s not going to break any speed records and certainly not any lap times. It’s a capable car when the road swerves around a mountain but its strength lies in the comfort and ease at which it puts the driver on every journey. The engines and gearboxes deliver adequate performance and there will be faster models still to come. 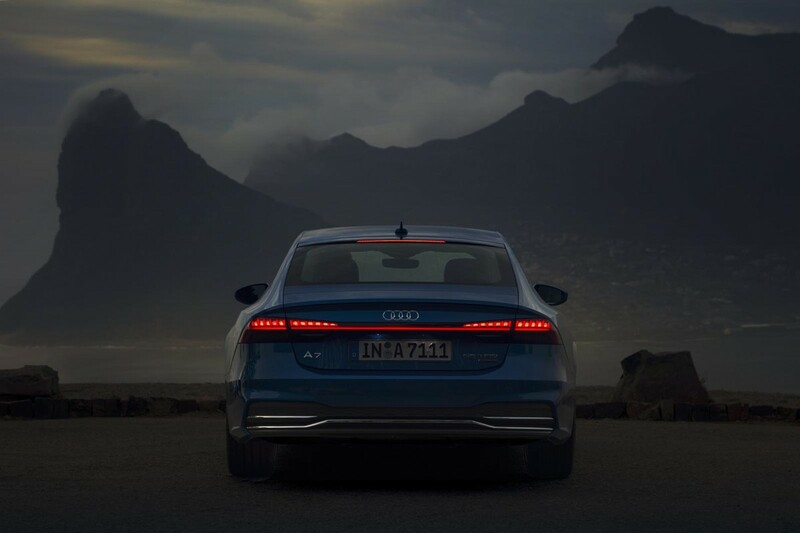 The design both inside and out is what makes the A7 special. 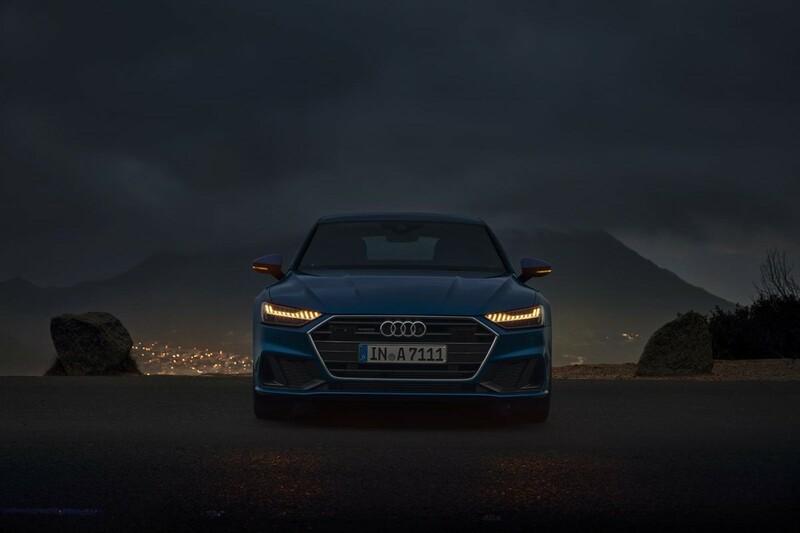 It’s the one Audi you can easily recognise as it passes by and the new segmented light option makes it even more distinguishable. 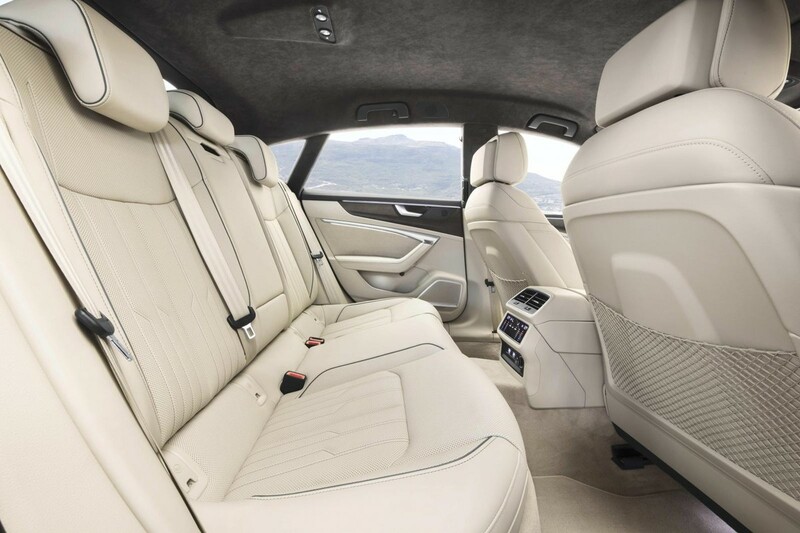 The interior sets it apart from the competition. At this high end of the game, there is usually very little to separate the brands, but Audi has found a way to trounce the competition with its modern, uncluttered and beautifully crafted interior. 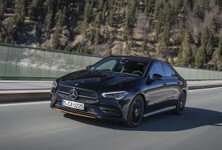 It is due to go on sale across Europe from mid-2018, but local models are pencilled in for Q3 of 2018 with pricing undecided as of yet. We will keep you informed as more details regarding local specification and pricing become available. Searching for a used Audi A7?